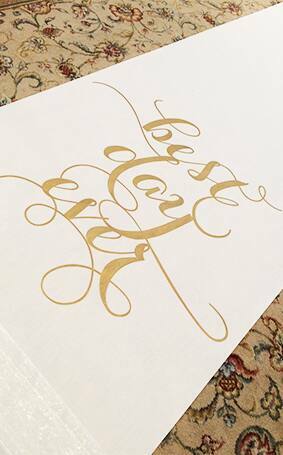 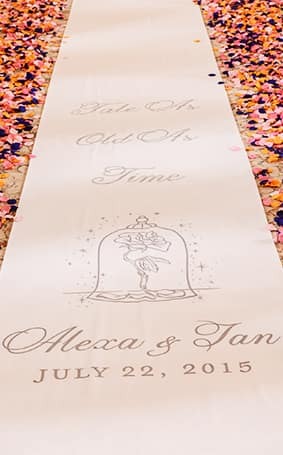 Garnering inspiration from an amazing Disney quote, your new monogram as a couple or even a nod to your favorite character aisle runners are the perfect way to cater every step to you. 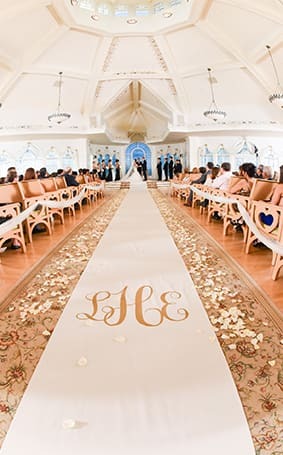 This is one of the most important walks in your life, so make sure your aisle runner looks as amazing as you feel on your special day. 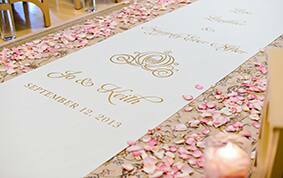 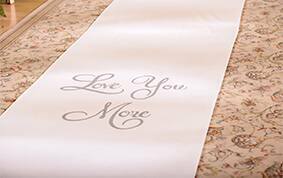 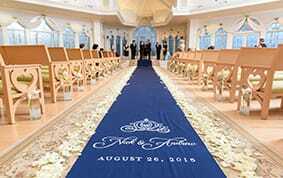 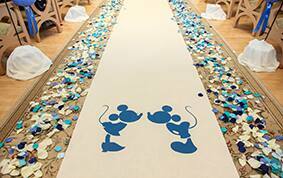 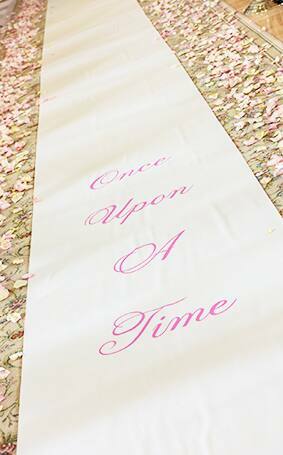 Be sure to ask your Disney Wedding Planner about how you can make your custom aisle runner dreams come to life.